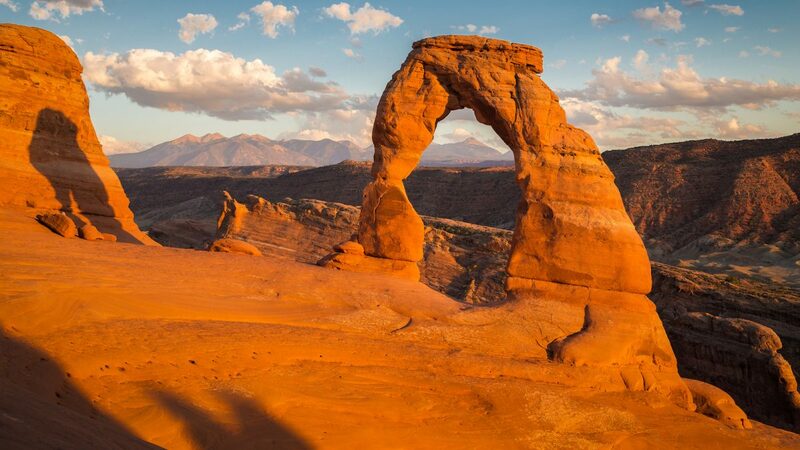 Moab has long been a favourite place for adventure sport enthusiasts like mountain-bikers and rock climbers but simply driving the Arches National Park route as a sightseeing day trip is incredible in its own right. 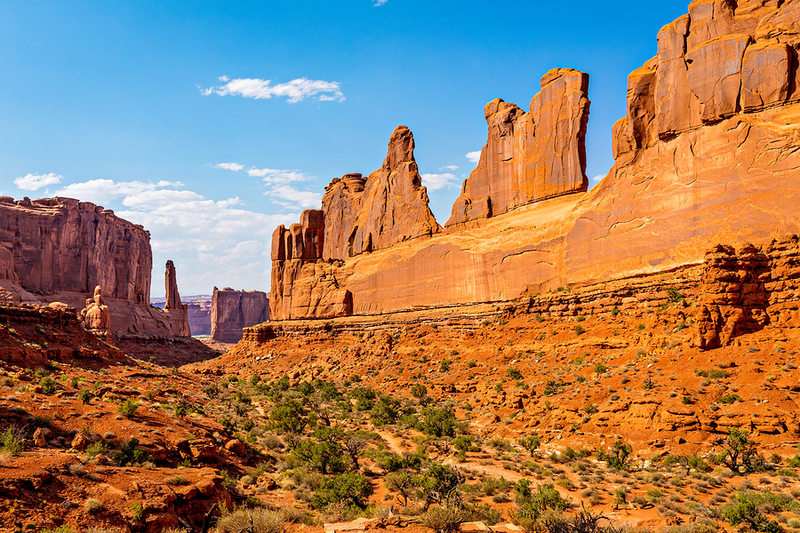 With an introductory explanation of the complex geological forces required to create features like The Windows, and the slow constant affect weather elements have to change the landscape you’ll appreciate how remarkably unique it is. 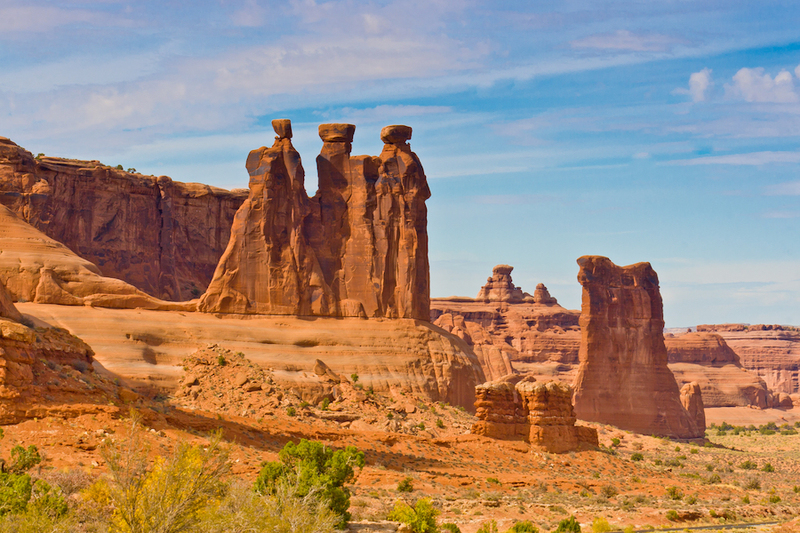 Hear stories about the characters who were drawn here and the fragile ecosystem that supplies a lifeline to a surprising amount of diversity. 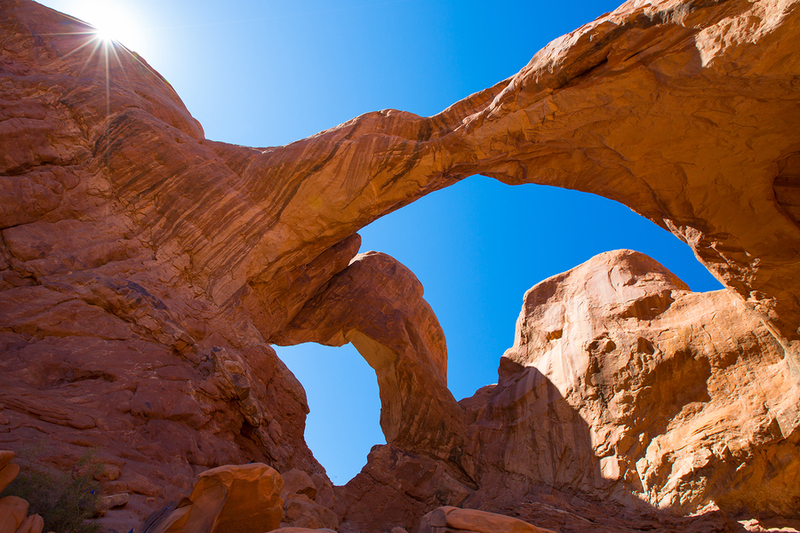 But with over 2,000 arches located throughout the park, and most travellers on a limited schedule, we’ll lead you to not to be missed features like Double Arch and Landscape Arch. 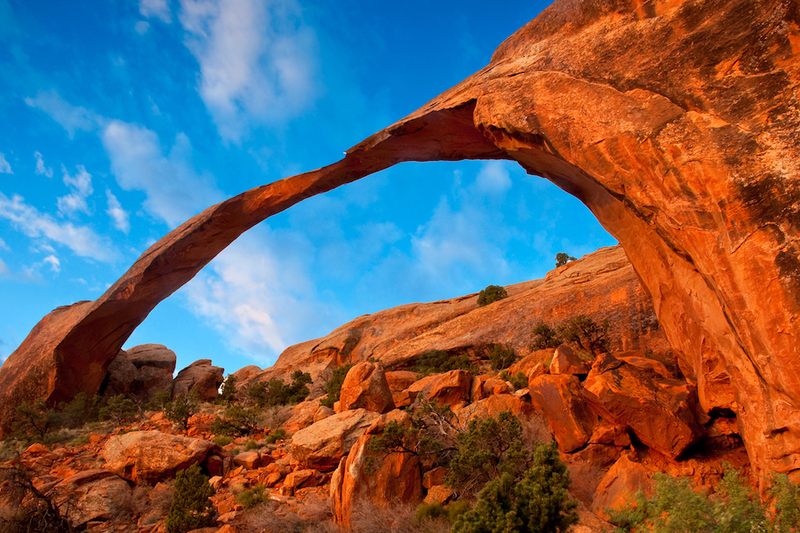 More time may allow you to visit Skyline Arch and Devils Garden areas, as well as many more. 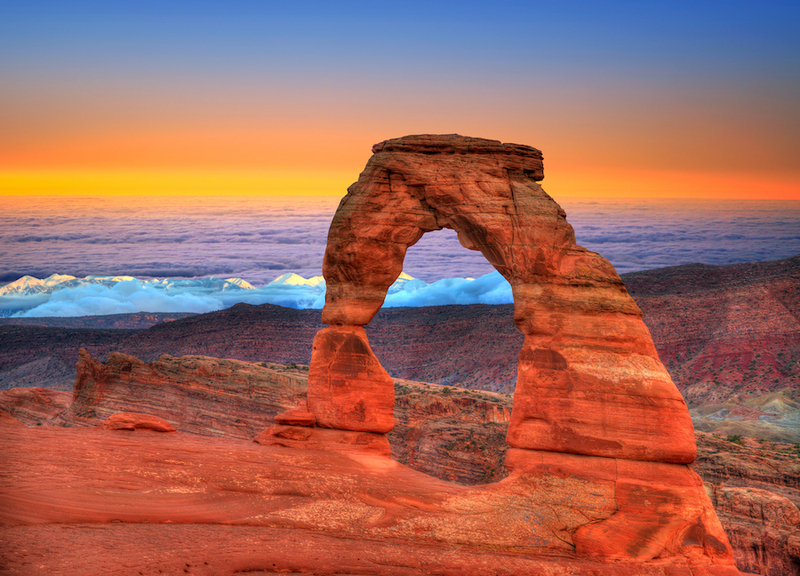 Allow 3/4 day to a full day to enjoy all the sights of Arches National Park and more time if you plan on hiking. We must exit the Park along the same road as we drive in, so there is different commentary to take us back to the entrance station and into Moab. 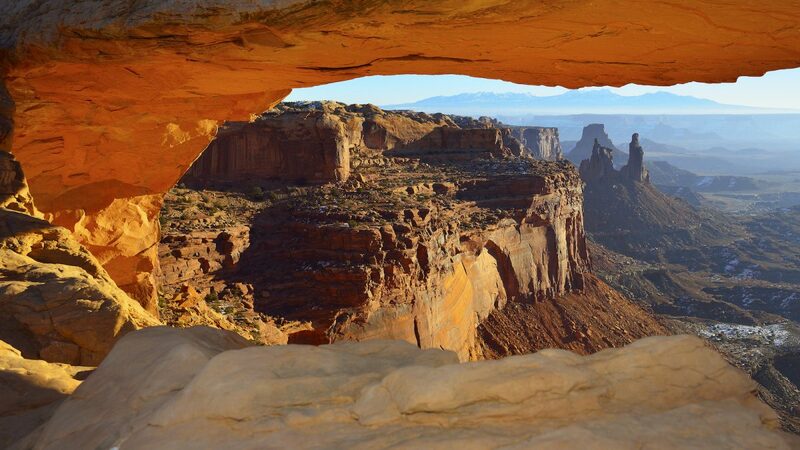 The tour begins by diving north on Highway 191 from the town of Moab. 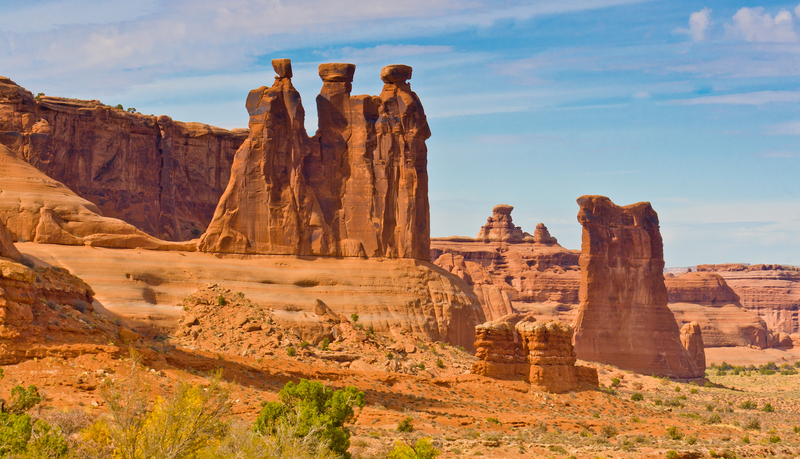 If arriving from the north, you can join the tour at the entrance station to the Park. 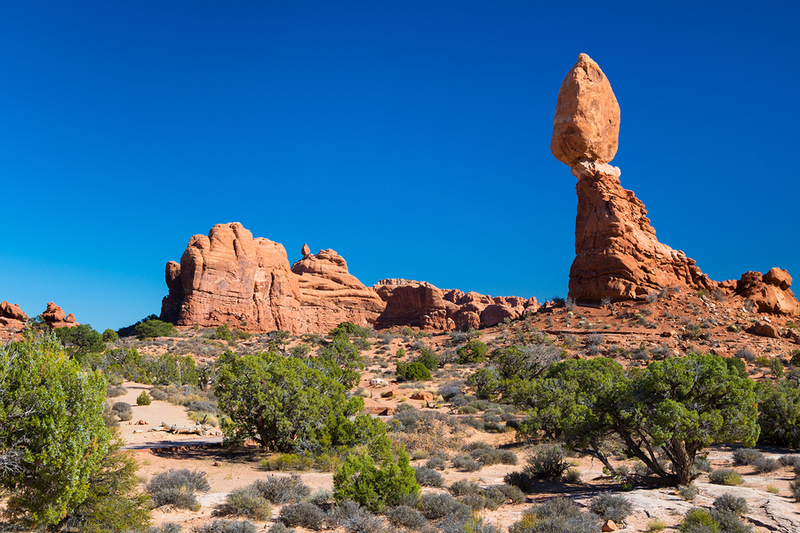 Sturdy shoes and a hat are recommended if you plan to do some hiking as the desert can get very hot!